Apparently we return to learning theories in week 3 and by then I may have brought my thoughts on this article into a cohesive post but for now this is just to flag it /share it / remember it as it is amazing! 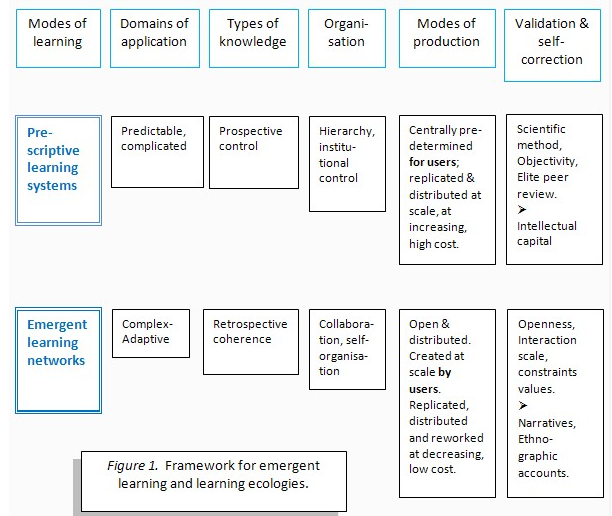 It presents a model of emergent learning / prescriptive learning in order to strategize for the future. Well it that doesn’t what your appetite for more I don’t know what will – enjoy.